When beautifully made-up Warda Ibrahim swanned into a plush Umhlanga jewellery store in July with her entourage in tow, the sales attendants on hand believed they were about to strike gold. Ibrahim was discreetly introduced as a princess from Yemen who had cash to splash. What the sales staff didn’t realise was that the elegant Ibrahim wasn’t royalty but a wanted theft suspect, executing a carefully planned heist. Before they realised it, Ibrahim and her accomplices, including a six-year-old boy, made off with a five-carat diamond and a Rolex watch, together valued at nearly R1-million. Ibrahim, 28 – who is believed to be of Yemeni descent but has a South African passport and has lived in Mayfair, Johannesburg – has vanished into thin air, despite being on bail of R2,000 for the alleged theft of cash in June from a mass retailer’s till in Brakpan, Johannesburg. Enter Durban private investigators Brad and Esme Nathanson, who have been hired by the jewellery store to track down the diamond and the watch. Together with the police, they have uncovered a slick operation believed to be headed by “Uncle Haji”, an elderly South African who is suspected of using women and children from Yemen to steal anything from dog deworming medication to designer dresses and diamonds. “With the Umhlanga robbery, they visited another branch of the jewellery store a day before, claiming to be royalty,” said Brad Nathanson. “The owner offered to show them his collection in Umhlanga, but asked that they come a few days later as he was playing golf. Accompanied by three accomplices, Ibrahim entered the high-end store pretending to be a blue-blood from the Middle East. “She was introduced as a princess from Yemen, who could not speak English,” said Nathanson. “Uncle Haji acted as the interpreter. From the CCTV footage we could see how one attendant was distracted by another woman and a six-year-old boy in the party while Uncle Haji and Warda worked on the owner’s son, who had displayed the jewellery on the counter. “We watched the footage over and over. While he was busy talking and translating, she got away with the diamond and the watch by sleight of hand. KwaZulu-Natal police confirmed they were looking for the woman, also known as Wareeda Mohamed. “A case of theft is being investigated by Durban North SAPS. A warrant of arrest has been issued against the suspect,” a police statement said. Nathanson’s investigations led him to a flat in Mayfair where Ibrahim and her accomplices are believed to be living. “When we hit that flat with the police, we were shocked. It was like a warehouse of stuff, from makeup to hair irons, clothing, tinfoil, about 40 boxes of toothpaste, dog dewormer, costume jewellery, perfumes – you name it, it was there. Nathanson has also been shown security footage by a Johannesburg convenience store owner who was hit by the gang, this time including two young girls. “They crowded the shop. Uncle Haji was even carrying a child to distract the staff. They made off with cash and escaped in a black Mercedes-Benz,” said Nathanson. The investigators returned to the Mayfair flat three times, but there was no sign of anyone. “They walk around with US dollars, so everybody entertains them,” said Nathanson. National police spokesman Brigadier Vishnu Naidoo confirmed that Ibrahim was on the run and facing a theft charge in Brakpan. “It is alleged that the suspect, by the name of Warda Ibrahim, came to the till at Makro in Brakpan to pay for some items. “While the teller was helping her, she took a R200 note from the till and said she wanted to see what a South African R200 note looked like. “The teller, who is a complainant in this case, took back the note. 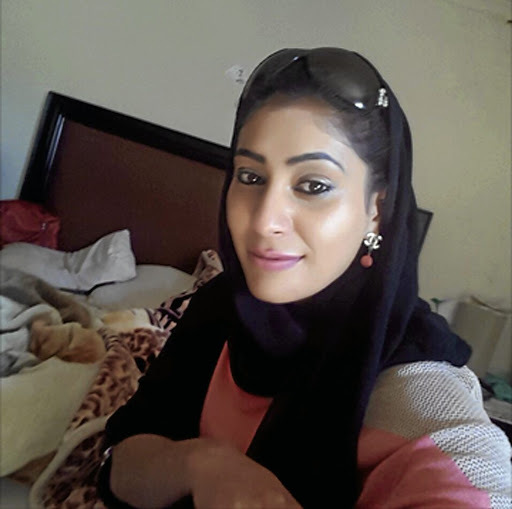 Naidoo said Warda had been arrested and appeared in court, where she was granted bail. She was due to reappear in court on August 14, but absconded and is still on the run.